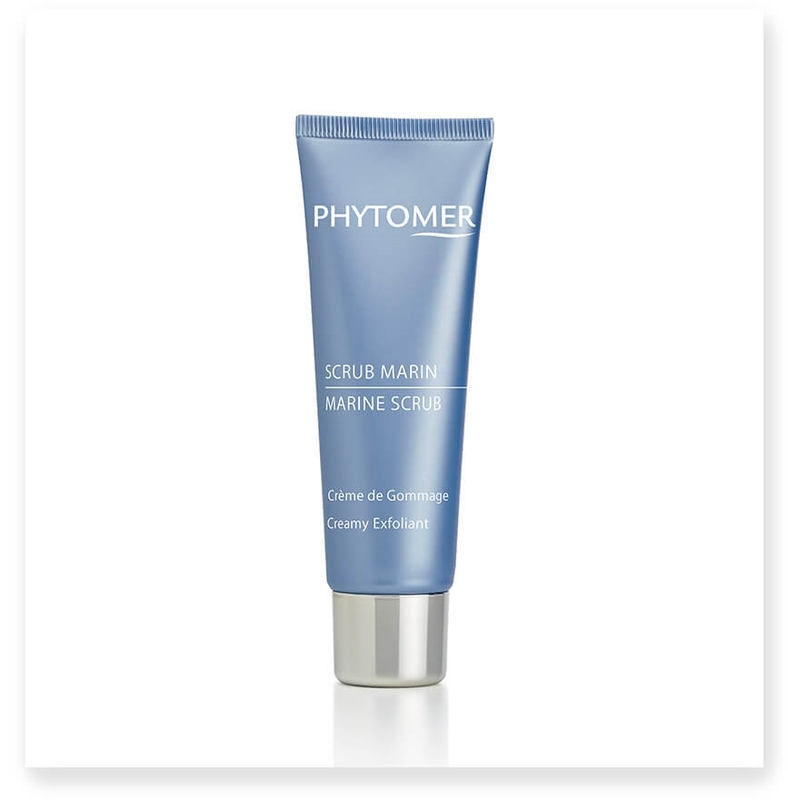 Natural, marine exfoliant formulated with black sand and pumice stone to effectively exfoliate the skin while enhancing it with hydrating and remingeralizing properties thanks to marine oil and Phytomer's exclusive seawater concentrate, Oligomer®. It has a very creamy texture and an enticing, fresh scent for easy application and an enjoyable sensorial experience for women and men alike. Dead skin cells and impurities are effectively removed, providing smooth, radiant skin fortified with softness and minerals, only the benefits of the sea can offer. Apply a small amount of product once or twice a week to entire face and neck over clean, dry skin (avoiding the eye contour). Exfoliate with circular movements and then rinse with water. • Chondrus crispus marine oil - contains phytosterols that enhance skin hydration. Antioxidant properties known to fight against the harmful effects of free radicals. 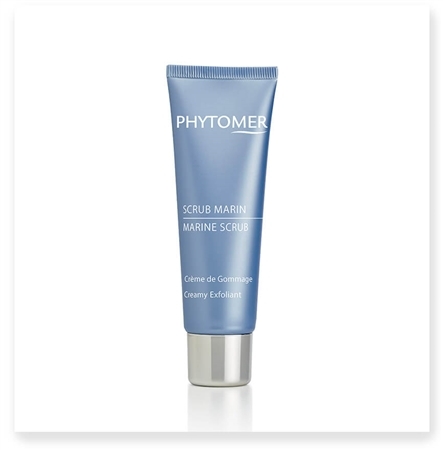 • Oligomer® - Phytomer’s exclusive seawater concentrate gives the unique cocktail of minerals and trace elements to fortify and recharge skin. • Black sand - spherical and uniform particles for gentle exfoliation. • Pumice stone - finer and irregular particles for an invigorating exfoliation.